Ironic ... it takes more time, paperwork, photo IDs as a US citizen to fly both within the country and outside the country than for illegals to cross our southern border or vote. I think after Friday the number of agents who show up will plummet big time. These people can't afford gas after a month of no pay. They're gone. 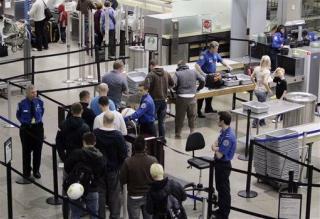 Airports will have to shut down or bring in the National Guard.